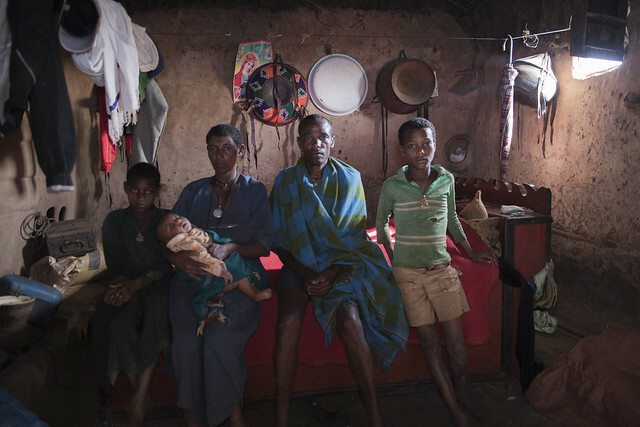 MECHA, AMHARA, 09 June 2017 – Mulugeta Yetayew and his wife Yezena Adane, both in their early 40s, warmly welcome us inside their rustic one-room cottage which serves as a bedroom and family room for them and their eight children, as well as a grain storage. Mulugeta barely remembers the birth dates of his children. 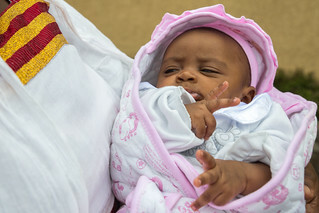 It is only baby Sindu Mulugeta, four months old, who was registered within 90 days of her birth. 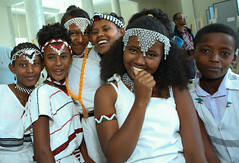 However, Mulugeta is able to tell his children’s ages. “My firstborn is 24, then 23, the third is 20, then 18, then 16, then comes 15, the next 13, then 4. 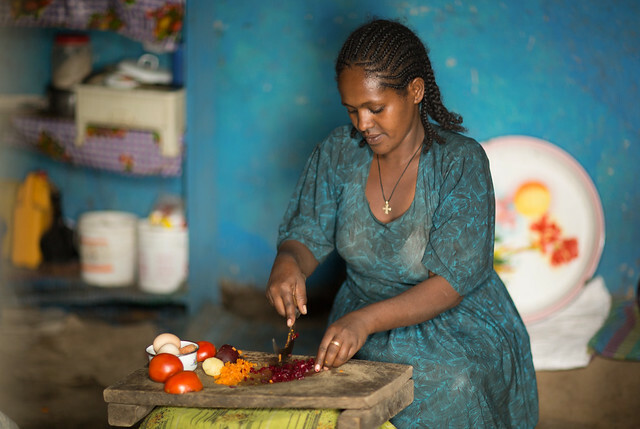 The last is Sindu, she was born in February.” When Mulugeta and Yezena were growing up, there was no registration or certification of birth. 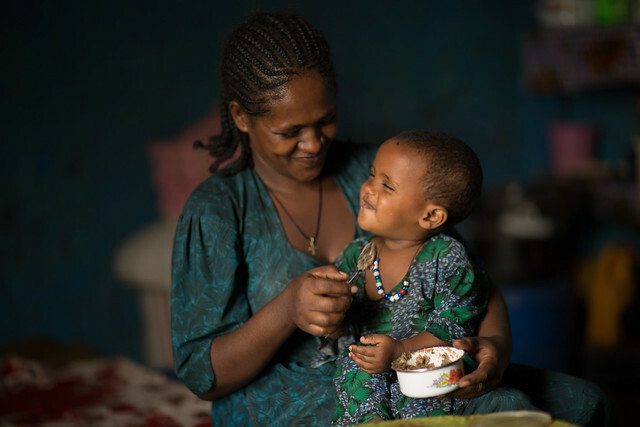 Mulugeta and Yezena did not know the importance of recording their children’s age and consequently, their children did not receive basic immunizations at the appropriate time. Sending children to school at an early age is also not a common occurrence, in Mecha. Children were expected to help with household work or herd cattle. Receiving a modern education was considered a luxury, as supporting the family was far more important. 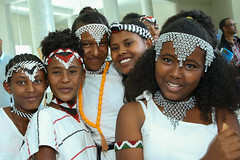 It was also common for 14 or 15-year-old girls to be married. 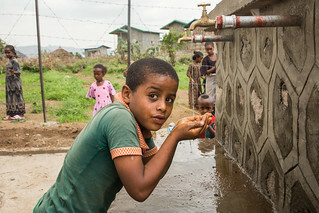 With grief on his face, Mulugeta continued, “My firstborn did not get a proper education. He is now a daily labourer in the desert of Benishangul-Gumuz region.” Thankfully, it is different for his other children. 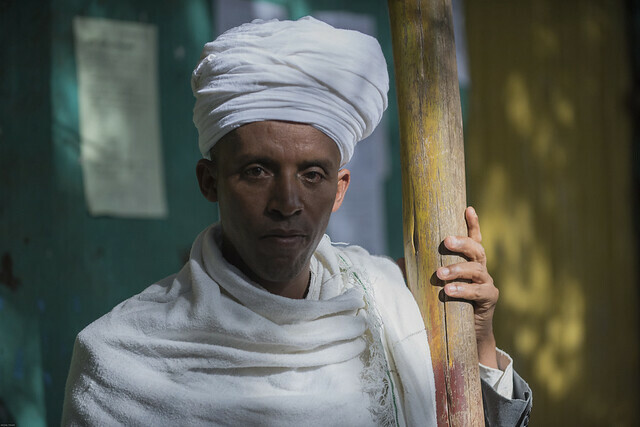 Even though most of them started school at a later age, Mulugeta is determined to ensure his children receive an education. 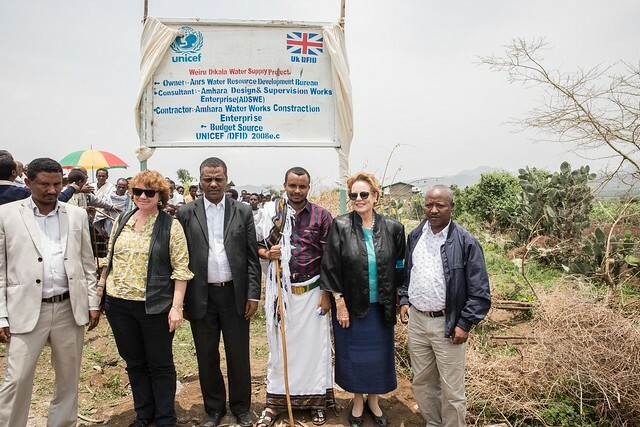 Mulugeta is grateful for the sensitization conducted in Bachema kebele (sub-district). Awareness raising, social mobilization and demand creation for registration and certification services are interventions implemented by the Government to encourage birth registration and registration of other vital events. 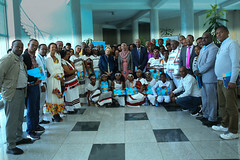 To improve the coverage of birth registration, UNICEF is supporting the Vital Events Registration Agency (VERA) and the Regional Health Bureau to integrate birth registration into maternal and new born health services. 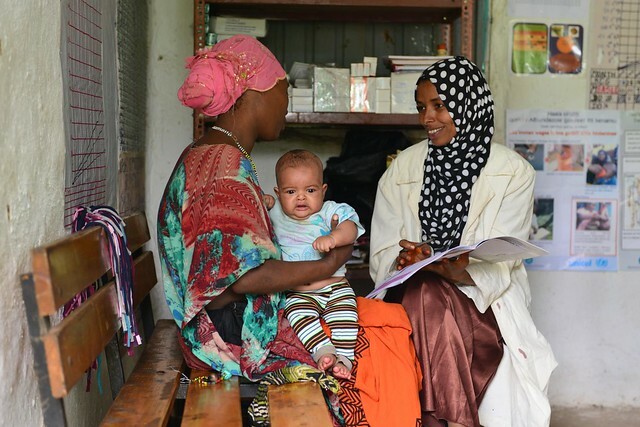 This integration alerts kebele registration centres when births happen in health facilities. Systematic registration of vital events such as birth, death, marriage and divorce is new; previously registration only occurred upon request. Based on a 2014 Government law, VERA was created and training ensued for different Government bodies. According to VERA, between August 2016 and May 2017, only 94,008 out of 669,008 births in Amhara, were registered. Furthermore, out of the total registered, 62 per cent are current (registered within 90 days of birth), 18 per cent are late (registered after 90 days but within one year) and 20 per cent are backlog (registered after one year from occurrence of birth). 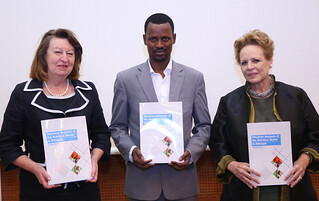 The vital events registration programme is a key component of the Government’s efforts to support children and their rights. 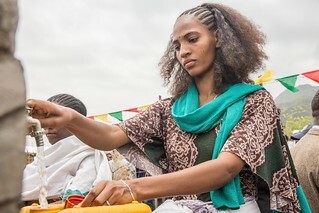 A birth certificate is fundamental to the realization of a number of rights and practical needs, including access to healthcare and immunizations, supporting timely school registration, enforcing laws related to child labour and securing a child’s right to a nationality, among others. 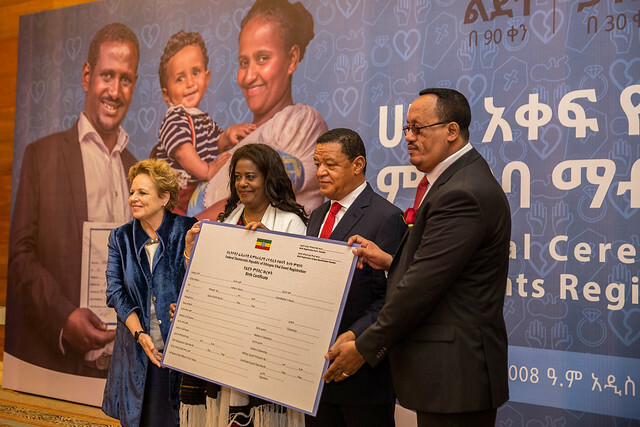 With the nationwide VERA in place, Ethiopia will soon see all its children with a birth certificate, providing them one further step towards a better future.